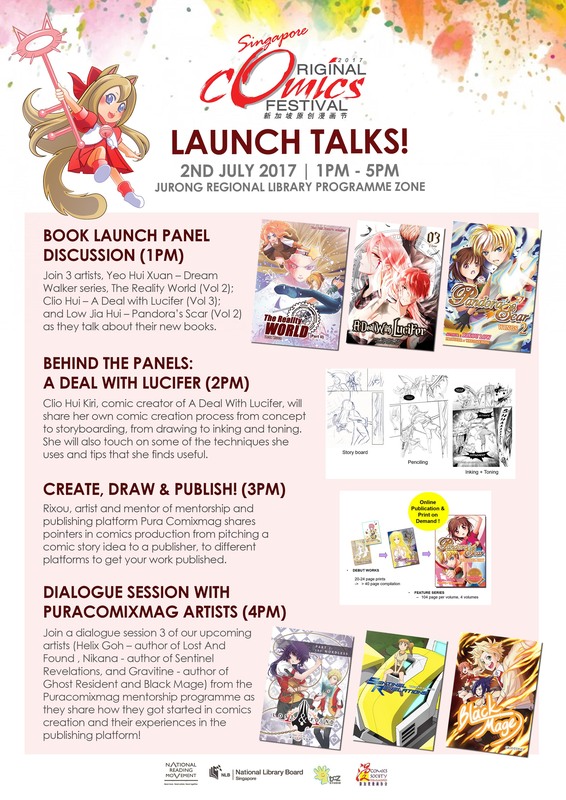 Join us this Sunday at the Jurong Library for a series of talks on our comics! 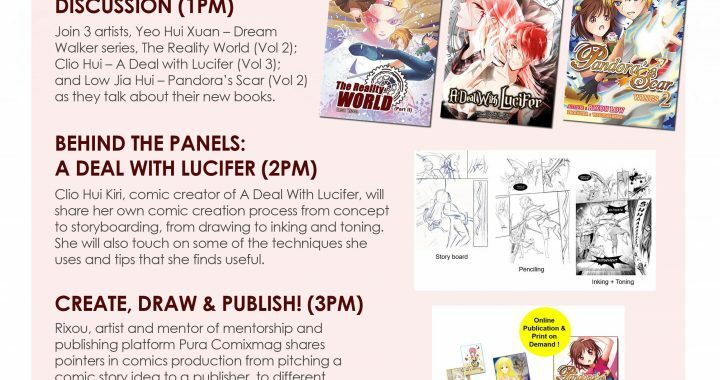 I’ll be having a talk on the comic creation process behind A Deal With Lucifer, and a panel discussion together with Dream Walker/梦行者author Yeo Hui Xuan, and Pandora’s Scar author Rixou. Free admission and open to all! Posted in Media & Events.